When I began my journey with veggies, one of the first dishes I tried and made frequently was Buffalo Cauliflower Pizza. I love buffalo-anything and I’ve loved cauliflower since before it was cool to love cauliflower. And mac n’ cheese-I mean there’s really no convincing necessary here, right? Let’s get right down to business with this cheesy, spicy, slurpy goodness! The first vegan mac I tried was not of the buffalo variety, it was instead made with butternut squash. I enjoyed it but it was not comparable at all to the flavors I was used to. Being so new to vegan cooking I had no idea about nutritional yeast or cashews or any of the magical ingredients I now use on a daily basis! Oh how things have changed! I don’t remember when I discovered buffalo cauliflower for the first time but I do know that the first time I tried it I was a changed woman! Not only is it the perfect, whole-food, plant-based replacement to meat-it is completely guilt free and nutritious! 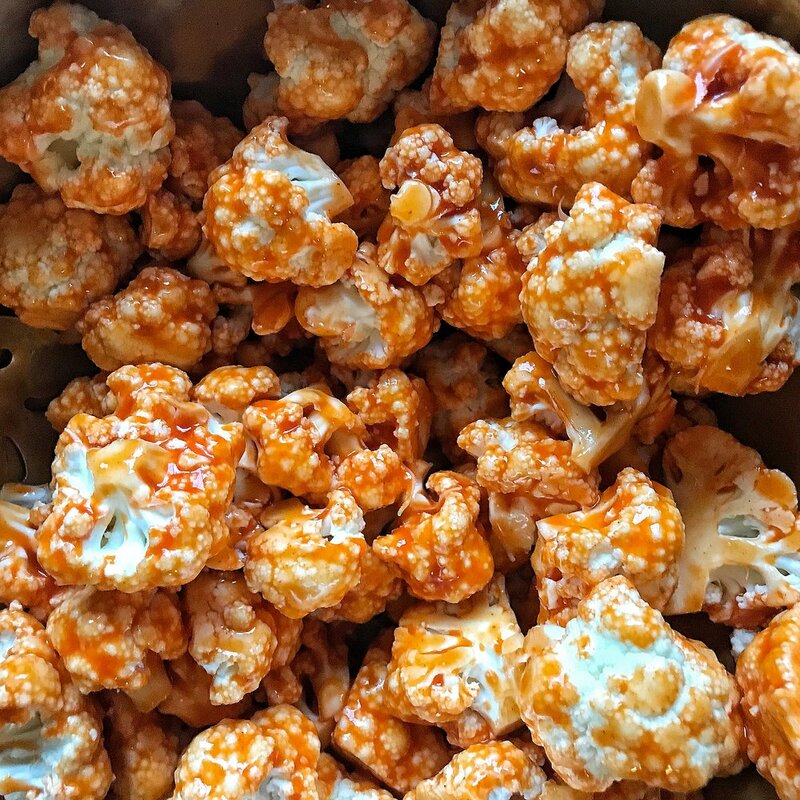 So while you may have felt guilty or sluggish from eating buffalo wings, buffalo cauliflower wings on the other hand, will leave you feeling satisfied and healthy! And just in the name of transparency here, I know that eating too much of anything isn’t great, but I’ve definitely been known to eat an entire head of cauliflower in one sitting. Tell me I’m not alone? Anyone? Bueller? …the one recipe I used to make a lot was Chef Chloe’s, it was creamy, comforting and super easy. I still love this recipe! However, in my humble opinion, you really can’t beat a vegan mac made with my beloved CASHEWS. Cashews offer such a delicious creamy taste and texture to almost any recipe: sweet AND savory! 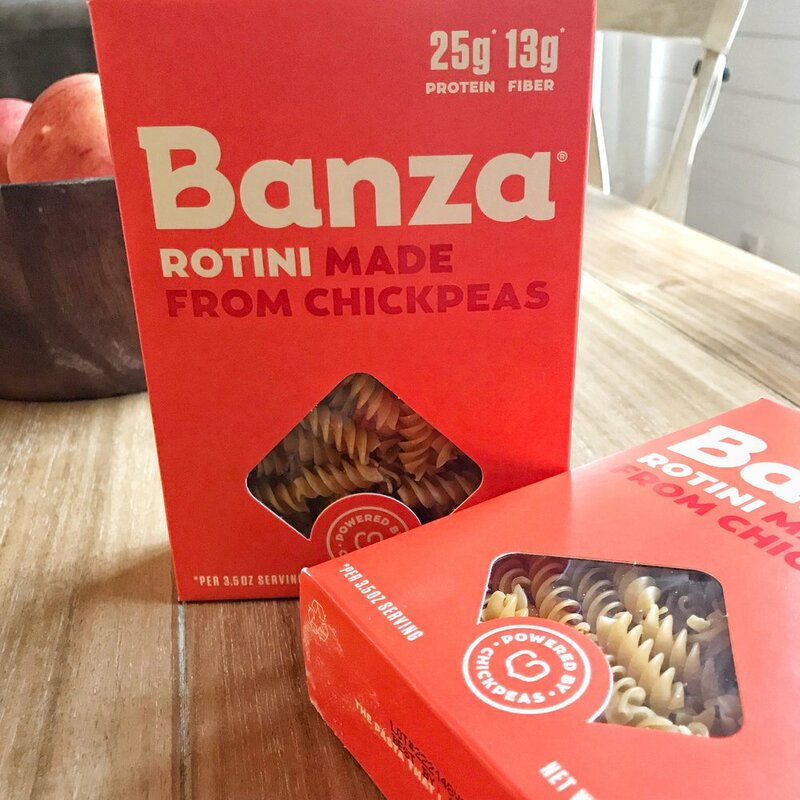 If you read my blog post on Pantry Staples, you’ll know that my fridge is almost always stocked with these delicious little nutty miracles! When the whole low-carb thing became big, people started paying more attention to cauliflower. It really is such an underrated vegetable. Cauliflower mash, cauliflower rice, cauliflower alfredo, and BUFFALO CAULIFLOWER. I’ve made them fried, baked, coated, and naked and anyway you make this delicious dish is fine with me. So marrying these two dishes just seemed right. Whip up a super easy ranch dressing (recipe below) and you’ve got all of your favorite and familiar flavors bursting your taste buds! 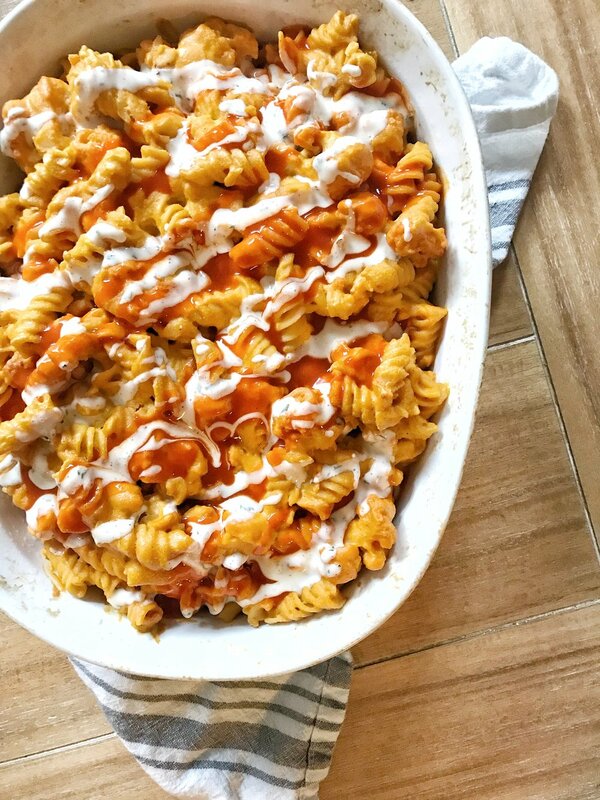 Spicy, comforting, and guilt-free Mac N’ Cheese! Perfect for a cozy night at home or a Sunday night football game with friends! While your cauliflower is roasting, prepare your cheese sauce and pasta. While baking, prepare your ranch by whisking all ingredients together. Drizzle ranch and extra hot sauce over your dish and DEVOUR! EASY Gluten Free Vegan Cornbread!